Genmaicha is a mixture of green tea and roasted brown rice. As some of the rice kernels pop during roasting to resemble popcorn, this tea is also referred to as “popcorn tea.” It combines the aroma of roasted rice with the fresh grassy flavor of green tea, resulting in a mild tasting tea that has a light yellow hue. You can buy genmaicha in any specialty tea shop or through a number of online vendors. If you are unsure where to begin, you can check out some of my recommendations below. Genmaicha, like most green teas, should be steeped in cooler water than black or oolong teas. A temperature of 80–85°C (176–185°F) is a good starting point. For these instructions, I’m going to give the traditional Japanese preparation method which assumes you are using a simple stove-top kettle. but any teapot will work fine, to be honest. Fill each cup with the water from the teapot. This will cool the water from boiling to the desired temperature of 80–85°C (176–185°F). Let the tea steep for two minutes. Depending on the quality of your tea, genmaicha is usually good for 2 or 3 infusions. If you are going for three, you will want to use a short steeping time for the second one. Pour boiling water from your kettle into the cups and wait about 30 seconds. This will ensure a higher water temperature than you used for the first infusion. Pour the water from the cups into the teapot and steep for one minute. Pour the tea into the cups, alternating as before. For the third infusion, you can pour the water directly into the teapot and steep for three minutes. If you decide to only do two infusions instead of three, increase the steeping time of the second to three minutes. This is a fairly forgiving tea compared to other Japanese green teas, so you’ll generally get a pretty good brew even if you don’t do everything perfectly. 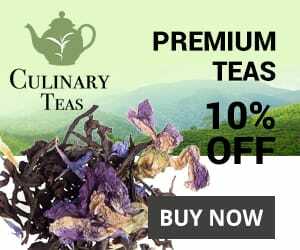 Many people already have an account with Amazon.com, so it is probably the easiest place to buy tea online. The best purchase on Amazon is the genmaicha from SA Japanese Green Tea. For a great deal, try this value pack from Hime. The Kyoto tea from Art of Tea is an interesting take on the classic genmaicha, with matcha added in to the mix. 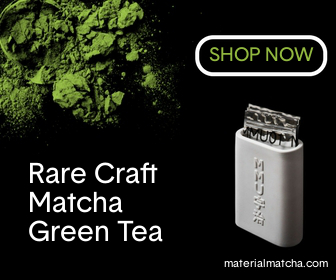 It blends high-quality gyokuro green tea, ceremonial matcha and roasty puffed rice, for an incredibly high quality tea that goes far beyond any standard genmaicha. Naturally, it costs a bit more, too. For more on genmaicha check out the Wikipedia page.